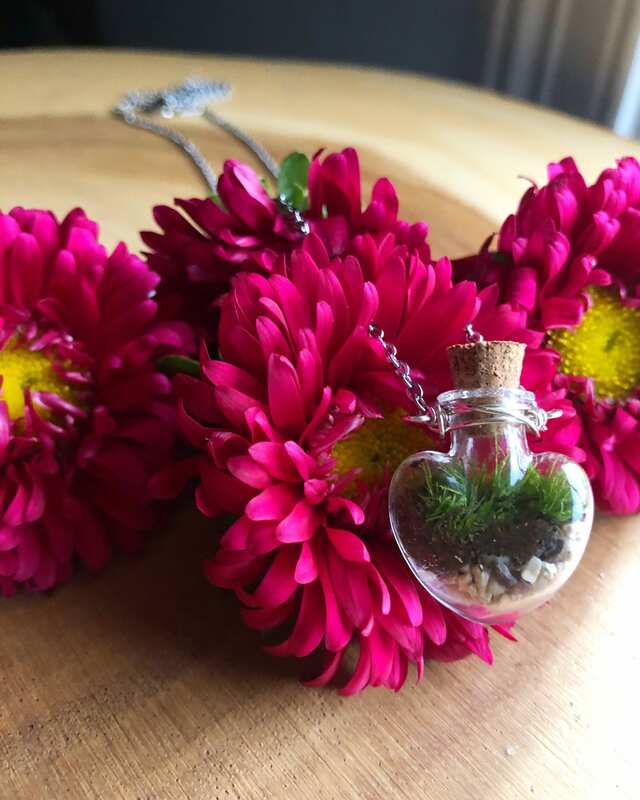 A special edition version of our popular terrarium necklace... heart shaped! Reminding you or the ones you love to LET LOVE GROW. A glass corked bottle holds live ferny green moss straight from the forests of kentucky. Perfect gift for nature lovers! Comes Wrapped ready to gift and includes care instructions! Anything else feel free to contact me I always respond quickly! Just like a plant you buy from a florist or grocery store it isn't guaranteed how long your little living ecosystem will survive. After all the moss is REAL! 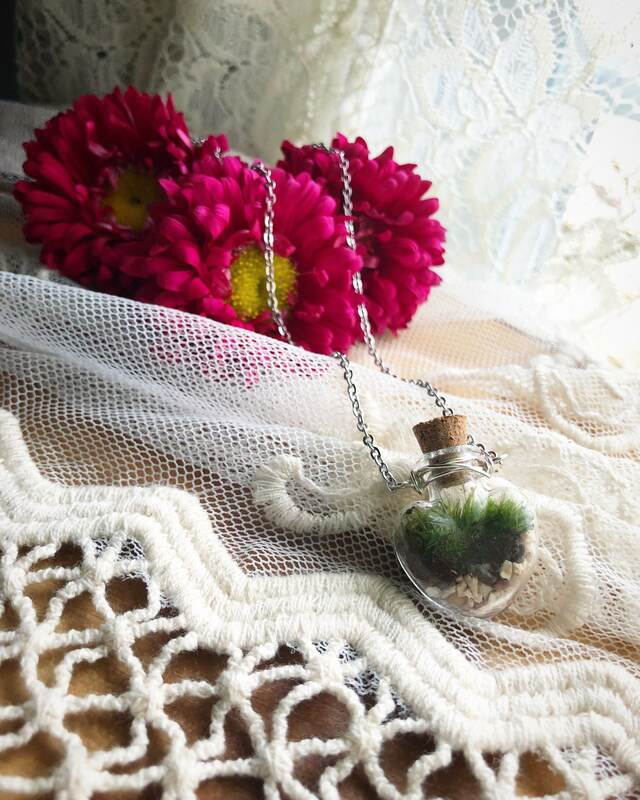 Your little terrarium could last anywhere from a few months to a year to longer! That's the fun part, seeing how long it survives in your care! 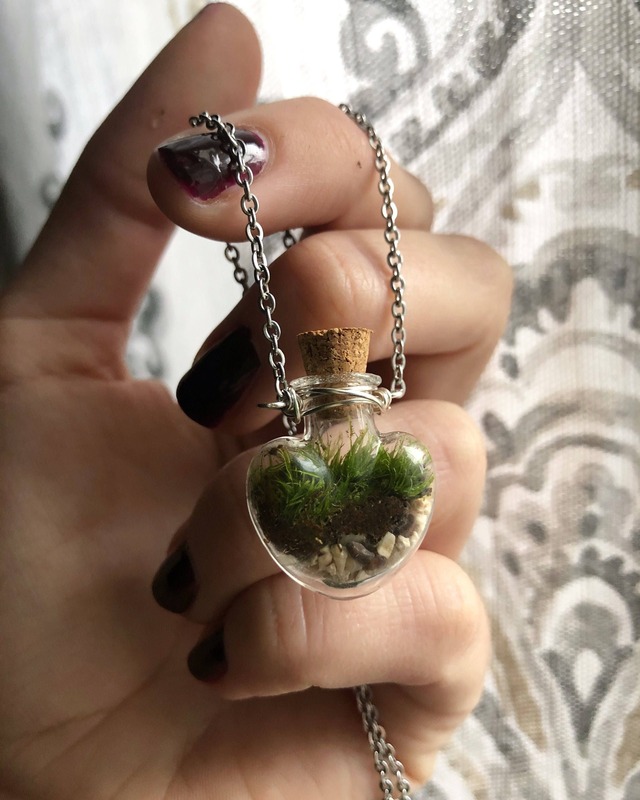 This terrarium requires very little care. The important thing to remember is not to over water and not to leave in direct sunlight or complete darkness for long periods of time. Moss usually dies when the owner is overly worrying about it. Most moss grows in moist (not soaking) environments with little light so remember that! If this is a gift for someone PLEASE INSURE THAT YOU LEAVE A MESSAGE IN THE COMMENT BOX AT CHECKOUT that tells me the name of who it is to and who it's from and if you would like a little note from you to that person. I like to put in a note card so that person will know who it is from! Thanks! This service is free of charge and the note is hand written by me. If you are interested in getting an actual card and typed note there is a 3.00 charge that has to be added. Please contact me to let me know if your interested in added this charge. The person I bought it for adores it! !